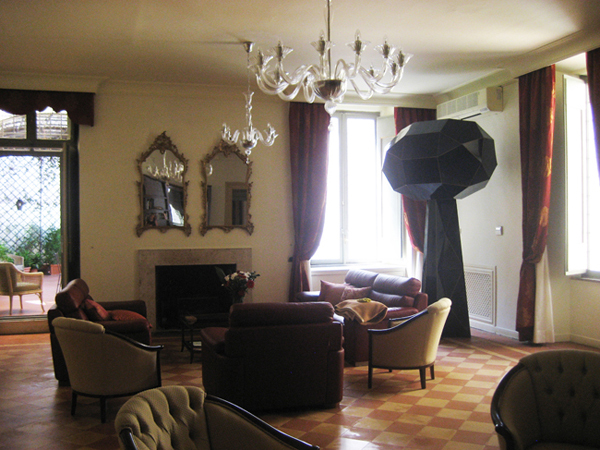 Forum was completed during our Australia Council studio residency at The British School at Rome, Italy during April to July 2008 and was included in the June 2008 exhibition Tutti Frutti at the British School galleries. Forum references post-Fascist Italian architecture merged with baroque sensibilities and cinematic spatiality. From 2013 to 2016 Forum was sited at the residence of The Australian Ambassador to the Holy See via a private loan agreement. 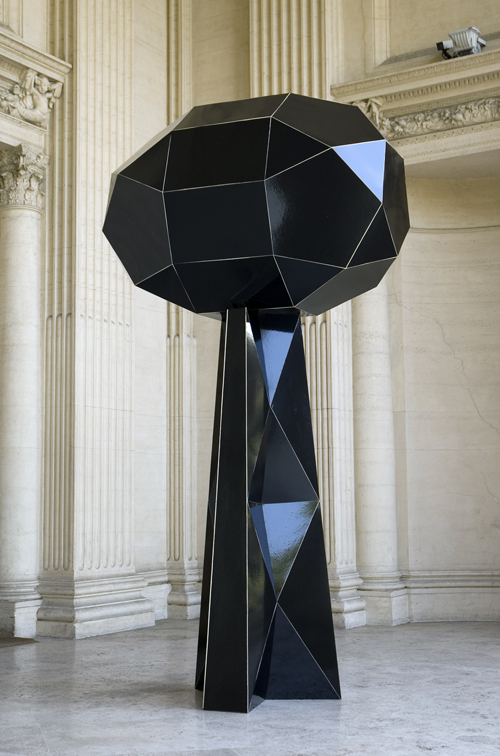 Forum is now in the permanent collection of The Nomas Foundation, Rome, Italy. Our studio residency was supported by the Australian Government through the Australia Council Arts & Crafts Strategy.